On December 20, 1910, New Zealand born physicist Ernest Rutherford made his seminal gold foil experiment which led to first insight about the nature of the inner structure of the atom and to the postulation of Rutherford‘s concept of the “nucleus“, his greatest contribution to physics. 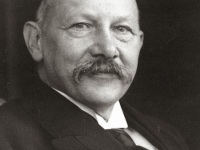 Most interestingly, Rutherford made his greatest discovery after receiving the Nobel Prize in chemistry in 1908. 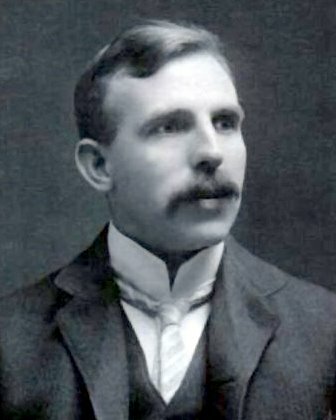 Ernest Rutherford was born on August 30, 1871, as the fourth child of 12 born to James Rutherford, a farmer, and his wife Martha Thompson, originally from Hornchurch, Essex, England, who had emigrated emigrated to New Zealand. His first name was mistakenly spelled ‘Earnest’ when his birth was registered. At age ten Ernest received his first science book. 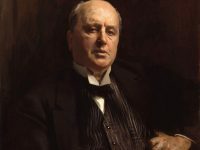 Among the many suggested experiments in it, one, on using the speed of sound to determine the distance to a firing cannon, gave him the knowledge to surprise his family by estimating the distance to a lighting flash. Perhaps it was also this book which inspired him to make a miniature cannon out of a hat peg, a marble and blasting powder. The cannon exploded, luckily without causing injury. Martha Rutherford ensured that all her children were well prepared for school and all received good educations. In 1887 Ernest won, on his second attempt, the Marlborough Education Board scholarship to Nelson College. In 1889 he was head boy, played in the rugby team and, again on his second attempt, won a scholarships at the University of New Zealand. He graduated M.A. 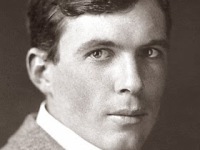 in 1893 with a double major in Mathematics and Physical Science, and he continued with research work at the College for a short time, receiving his Bachelor of Science degree the following year. 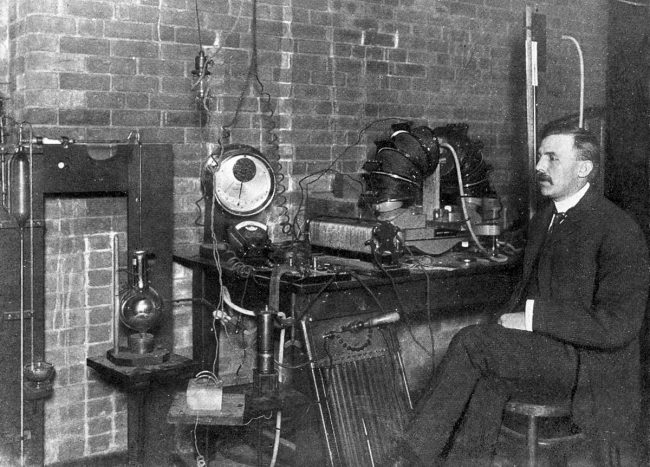 After 1905, Rutherford turned his attention to the nature of alpha radiation. The deflection of alpha rays by electrical and magnetic fields demonstrated that the rays must consist of some kind of particles. Alpha rays are actually a stream of alpha particles traveling at very high rates of speed. Rutherford showed that an alpha particle is identical to a helium atom without its electrons, that is, a helium nucleus. Starting in 1909 Rutherford started experimenting with a gold foil that was bombarded wit beam of alpha particles. This was performed by Hans Geiger and Ernest Marsden under the direction of Ernest Rutherford at the Physical Laboratories of the University of Manchester. However, the achieved results surprised Rutherford. Although many of the alpha particles did pass through the gold foil as expected, many others were deflected at small angles while others were reflected back to the alpha source. They observed that a very small percentage of particles were deflected through angles much larger than 90 degrees. This meant that the atom had a concentrated center of positive charge and of relatively large mass. The alpha particles had either hit the positive center directly or passed by it close enough to be affected by its positive charge. Since many other particles passed through the gold foil, the positive center would have to be a relatively small size compared to the rest of the atom – meaning that the atom is mostly open space. This led to a new interpretation of the nature of the atomic world. 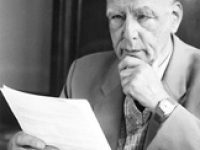 Rutherford’s new description of the atom set the foundation for all future atomic models and the development of nuclear physics. Rutherford’s model was later elaborated into the Bohr model by physicist Niels Bohr in 1913. The Bohr model, in turn, was soon replaced by the Schrödinger model of the atom, as the basic atomic model used today. Rutherford’s theory of neutrons was proved in 1932 by his associate James Chadwick, who recognized neutrons immediately when they were produced by other scientists and later himself, in bombarding beryllium with alpha particles. In 1935, Chadwick was awarded the Nobel Prize in Physics for this discovery. At yovisto academic video search, you may enjoy a video by Dr. Brian Cox, discussing Ernest Rutherford and his seminal gold foil experiment. Geiger H., Marsden E. (1909). “On a Diffuse Reflection of the ?-Particles“. Proceedings of the Royal Society, Series A 82: 495–500. I was quite surprised to find that some of the stories that get passed on in the classroom and popular literature are inaccurate or incorrect, but there aren’t many resources out there that are shorter than book-length, so this may be of interest to those who want a more condensed version. @Charles Thank you very much for your contribution and the links!